#CROWDSOURCING tweet Book01 | THiNKaha: Become a recognized expert in your field of expertise. Compelling thought leadership content. Why Should You Become a THiNKaha Author? This entry was posted in Business Books Buzz Press Releases and tagged crowdsourcing on November 11, 2011 by admin. Slim and handy book, women’s health expertly written, one health shows you how to quickly tap into the talent and wisdom of your crowd. CUPERTINO, CA (PR Web) – November 11, 2011 – Be careful you don’t dismiss crowdsourcing as just another buzzword! The growing trend of crowdsourcing (the soliciting of collective wisdom) has quickly become a central business concept. Driven by the power of the web, businesses can now crowdsource to greatly expand the talent pool available at their disposal. Typically, this enables organizations to complete tasks faster, more efficiently and often simply better. Kiruba Shankar and Mitchell Levy, co-authors of this cutting-edge book, are both firm believers in collaborative wisdom. In very diverse and singularly successful careers, they have deployed crowdsourcing for greater success. Now they bring you #CROWDSOURCING tweet Book01, in which they share with you smart ideas (crowdsourced, of course!) that teach you to tap into the wisdom of the crowd. The bite-sized learning in this slim volume is a tribute to collective wisdom. To begin, consider #CROWDSOURCING tweet Book01’s aha #34: Encyclopedia Britannica took 200 years to write 80,000 articles. Wikipedia: 9 years, 10 million+ articles. Personal stories are especially powerful. For example, aha #48: I crowdsourced the creation of my logo and got 95 logo concepts for $300. My graphics agency just lost a customer to crowdsourcing. And lest you start thinking of crowdsourcing as a silver bullet, here’s a reality check with aha #52: Crowdsourcing is a democratic process. However, just like in any democracy, it needs leaders to hold the flag and lead. #CROWDSOURCING tweet Book01 is the book on leveraging the experience of the crowd, brought to you by two experienced authors who are comfortable with walking their talk. Replete with actionable knowledge from start to finish, you will surely find yourself flipping through its pages time and again as you tap into the collective wisdom of your crowd. Kiruba Shankar (@Kiruba), CEO of Business Blogging and Director of F5ive Technologies, has 14 years of experience in the Internet space. He lectures at the prestigious Indian Institutes of Management and is Ambassador for the TEDx program in India. Curator of Cerbrate, the international event for achievers, professional podcaster and blogger, Kiruba also makes time to author books that elucidate and opine on cutting-edge business strategies. Mitchell Levy (@HappyAbout), corporate visionary, prolific business writer and acclaimed speaker is CEO of the independent and approachable publishing house Happy About. In a singularly successful career, he has created executive education programs for Silicon Valley universities, served as conference chair for Comdex and spoken at hundreds of forums on e-commerce and business. Particularly in Silicon Valley, Mitchell finds himself frequently called upon for his strategic expertise, big picture thinking and extensive business networks. To purchase a copy of #CROWDSOURCING tweet Book01 visit Amazon.com, HappyAbout.com, or other leading online stores. 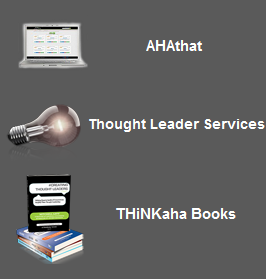 THiNKaha, an imprint of Happy About®, is a leader in timely, cutting-edge books and mobile applications from relevant experts that provide valuable information in a fun, Twitter-brief format for a fast-paced world. Every book in the THiNKaha series is a slim, handy volume, 112 pages in length, which consists of 140 quotes of timely, practical advice or wisdom. Presented in tweet format, each “aha” is 140 characters or less. These bite-sized words of wisdom span a number of subjects and interests. Titles include: #SPORTS tweet, #TEAMWORK tweet, #LEADERSHIP tweet, #MOJO tweet, and more. 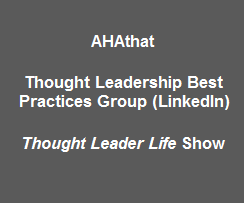 THiNKaha books and authors are also part of THiNK Continuity, a continuous learning program based on customized topics that enhance attendees’ skills by offering bite-sized, easy to understand, and worthwhile chunks. This program powers the internal champion at companies or a content guru to deliver expert knowledge on relevant topics, and in a way that inspires learning in their environment and fosters “aha” moments. Just think regular bite-sized morsels can be delivered on topics such as: leadership, management, sales, marketing, work-life balance, project management, social media and networking, presentation skills, and other topics that are needed by the learner. For more information, go to http://www.thinkaha.com. Corporations interested in exploring publishing a book series or creating a THiNK Continuity Program for their audience should contact the associate publisher, Janae Pierre, at janae.pierre@happyabout.info or via phone at +1 408-921-1568. A free copy of the book is available to the press upon request. Please email your request to presscopy@happyabout.info.